His focus is on interaction with the government. 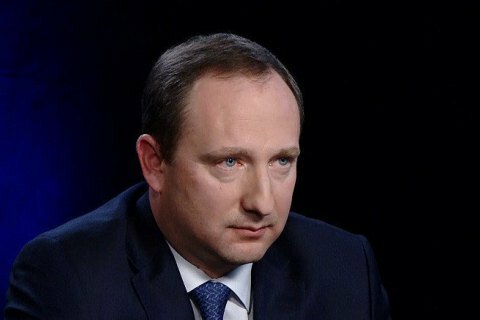 There are three tasks facing the head of the Ukrainian presidential administration, Ihor Raynin, which he outlined in an interview with Sonya Koshkina. One of these tasks is to advance regional policy. "Time never stops, it sets different tasks and goals. Today we should build a correct human vertical aimed building communication between local administration heads and people. We did similar things in Kharkiv. In districts, villages and towns we need to explain people decisions which are taken to the benefit of economy and social policy. We should not be afraid of taking these decisions, they must explain them to people instead of hiding behind the walls. The second is to continue reforms and invigorate this process, its organisational component. Because the majority of reforms is initiated by the president and requires communication and attention as well as administration," Raynin said. The third one is communication with the Cabinet of Ministers, he added. "We have a new Cabinet of Ministers and a new head of the administration too, therefore we need certain communication which will allow us to work as one team. This is very important," he concluded.